Now, you can have professional aerial videos and pictures of your business. Get professional videos of your wedding or indie film project. Take a complete video of your farm, or do just about anything else you can imagine. 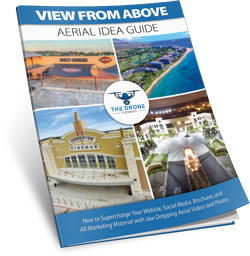 Click on the image above to Download the View From Above Aerial Idea Guide, so you can see for yourself how amazing your business will look to your customers and prospects using custom aerial photography from The Drone Cowboy!